This mountainous land, swathed in pristine rainforests and steeped in ancient Mayan culture is a joy to discover. Mysterious abandoned cities lie tangled amongst the jungles of the north, while colonial architecture adorns the country’s cities and towns. 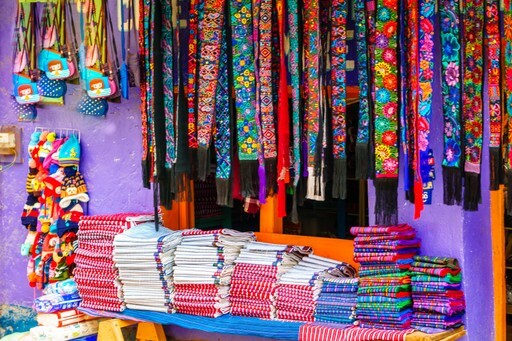 Indigenous highland villages retain their Mayan roots with rainbow-hued fabrics and fascinating religious rituals. It is this cultural mix that makes Guatemala so exciting. Natural beauty abounds too, with soaring mountains and volcanoes, rushing rivers, wide lakes and deep caves. 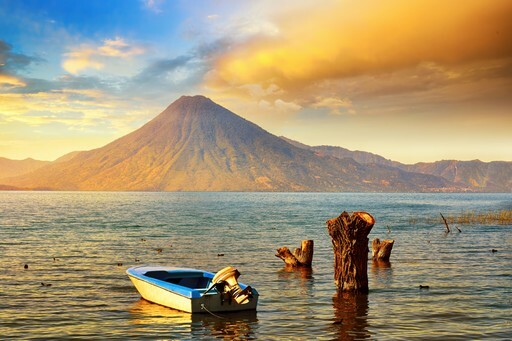 Guatemala also boasts a Pacific coast, as well as its own little corner of the Caribbean. There are many wonderful experiences to be had here. For further inspiration take a look at the trip ideas put together by our trusted local experts at the foot of this page, but in the meantime here are our top three things to do in Guatemala. Central America’s most magnificent Mayan relics are found in Guatemala’s forested north, not far from the border with Mexico. Jungle-lined pathways lead to a series of impressive ruins - five towering pyramid structures standing proud among hundreds of other, smaller relics. For the most evocative experience visit at sunset when the surrounding sky is filled with the primeval sounds of the rainforest. Keep your eyes peeled for the wonderful birdlife flitting through the trees and listen out for the howler monkeys. The glittering waters of Lake Atitlán are ringed by an awe-inspiring panorama of volcanic peaks creating a dramatic highland scene. The lake itself is in fact a massive crater caused by a volcanic eruption many millennia ago, now filled with fresh water. Nearby, picturesque indigenous villages invite you to linger a little longer. Come for the views, and the spectacular hikes that lead you to them. Come for the traditional culture. Whatever you do, just make sure you come. Souvenir hunters should look no further than the sprawling twice-weekly market at Chichicastenango, up in the western highlands. Rainbow textiles jostle for attention alongside leather goods, woodwork and ceramics. Smaller and more authentic, but no less of a spectacle, is the market at Sololá, accessible from the shores of Lake Atitlán. Make sure you leave a little space in your luggage for these inevitable temptations. When should I visit Guatemala? The best time to go to Guatemala for minimal rainfall, visit between December and April, which is the drier season. Conveniently, many of the places on travellers' itineraries lie at altitude, meaning they escape the heat and humidity of the lowlands and remain pleasantly fresh and warm, with the notable exception of the Mayan temples. The wettest period starts in May and lasts until November, and although parts of the country experience the wet season as nothing more than an afternoon downpour, the lowland areas can become quite difficult to explore in this period. 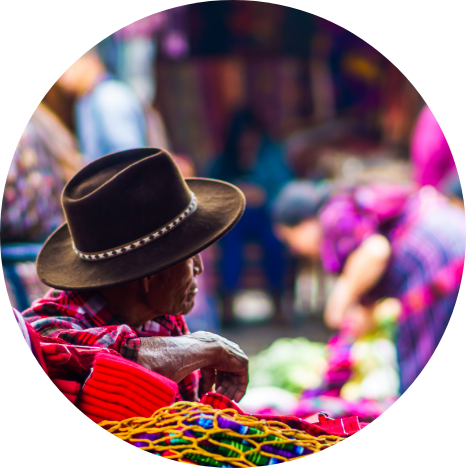 Create your bespoke holiday to Guatemala!